It’s Your Kingdom, We Conquer Pest Invasions. 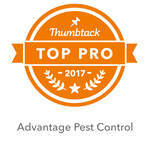 call 518-772-BUGS now to learn how you can keep your home free from all types of pests. How do you know if you have a pest infestation? Have you noticed any of these lately? If so, it might be time to call Advantage Pest Control. Dial 518-772-BUGS to reach a team of pest control pros who can make your home safe and clear of rodents and insects. At Advantage Pest Control, we want to give you the opportunity to stay covered year round! Our general pest contract includes a maintenance plan tailored specifically for your home that will help keep your protected from seasonal pests, all year long. Don't wait for an infestation to call for help. For more information on how you can keep your family and home safe from infestations and pest problems, call Advantage Pest Control. Copyright © 2019 Advantage Pest Control, all rights reserved.